STEVEN IS A BOY WHO PLAYS TO WIN – BUT THIS IS NO GAME. THIS IS AN ADVENTURE HE CAN’T CONTROL. “Steven Topcliff loves gaming but doesn’t believe in fairies or magic – until tricky cousin Tracy drags him away from his game console and gets him to press a red button on a mysterious stone they find in the local park. The stone turns out to be a one-way gateway to Fairyland, where nature rules supreme and technology is banned by law. Lost without his video games, Steven struggles to survive in this scary new world. The inhabitants are dangerous, sometimes deadly. The Land itself is a living being that deals out instant magical punishments to lawbreakers. And the truth about Tracy is terrible indeed. Homesick and horrified, Steven is desperate to escape. Ignorant of the rules, it’s not long before he breaks them and ends up in the custody of the ruthless Fairy Queen. He learns she’s the living power behind the Land and its creatures, and she has no intention of setting him free. He also suspects she’s not telling him her true reason for keeping him prisoner. Whatever her game is, Steven isn’t about to play it her way. His only chance of escape is to magic his own gateway home, so he attempts to build up some psychic muscle. The Queen uses all her guile to distract and torment him, and he lives in dread of being eaten alive by gruesome snake-like monsters that live in her garden, but the biggest block to his concentration is his own lack of faith. He still doesn’t believe it’s possible for a human being to do magic. The Gateway to Magic is a delightful fairytale filled with secrecy and intrigue that is sure to delight young and old. Steven is a young boy who loves playing video games. When his cousin, Tracy, tricks him into pressing a hidden red button found on a stone they discover in the forest, the gates to fairyland are flung open. Steven is thrust into a realm filled with goblins, shapeshifters, and other scary beings. Hang on kids, we’re in for a wild ride. One of the first entities Steven meets is Nigel, the shapeshifter, who seems to change into different figures that he can’t seem to control. I got many laughs out of the unusual things he changed himself into. However, Nigel’s character has a role. He becomes a friend and confidant of Steven and is instrumental in helping him to find a way out of fairyland. Nigel was my favorite character. Steven treated him badly, and still the little shapeshifter remained loyal. All Steven wanted to do was to return home. Being a human in fairyland is a foreign experience. He is ridiculed and made fun of by the fairies and the rest of the elemental beings. At one point, Steven is starving because he doesn’t have a job. He steals some sweets to eat, and the Fairy Queen relegates him to the Forest of Pointy Fingers where he must bear his punishment. The only way out is to face up to the error of his ways. It is when Steven realizes that it was wrong to steal that he leaves the forest of Pointy Fingers and meets Mr. Fildew, the Queen’s Dungeon Master. He is an organic type of creature who suffers from the power of suggestion. Finally, Steven meets the Fairy Queen, and she makes him her consultant. The three characters, Steven, Nigel, and Mr. Fildew have lessons they must learn to proceed in their lives in their fantasy world and beyond. I guess that’s what I enjoyed most about this tale. You could read it with your younger children, and it would prompt great discussions on values and deep thoughts about growing up. 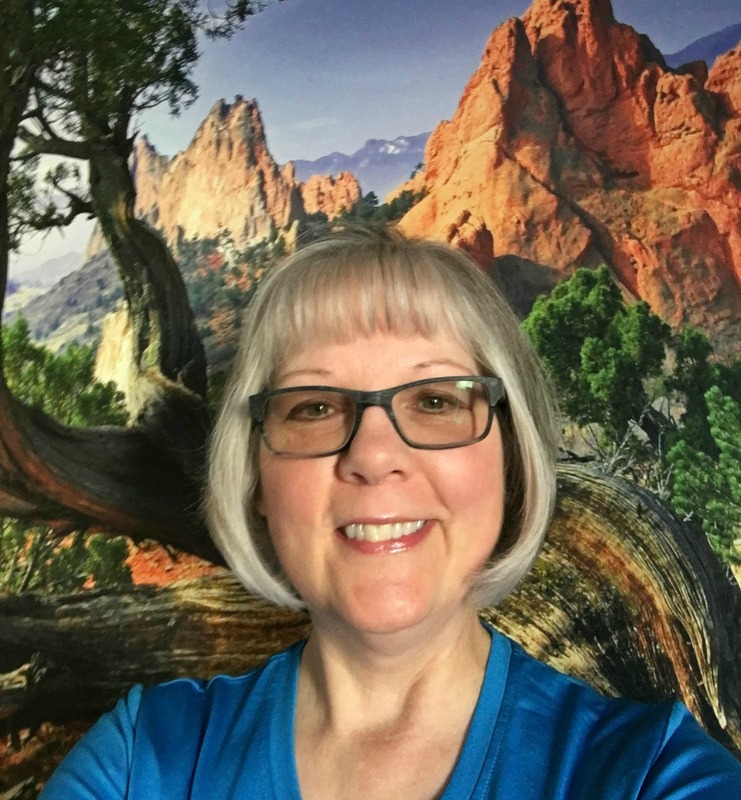 Annabelle Franklin is a children’s writer, and I believe she throws the proper elements in her fantasy novel to encourage imagination in all kids. If you love fairytales like I do, you will enjoy this sweet and imaginative tale. Take your time, and by all means, read it with your children. They will love it! “I live on the South Gower coast, in an area of outstanding natural beauty that gives me plenty of inspiration. I hate housework and often wonder if there’s a breed of gruesomely grubby goblin whose sole purpose is to mess up people’s homes. My new book The Slapstyx explores this idea. I like to think the fabric of material reality is riddled with holes leading to magical dimensions. When my nephew had a phase of video game addiction, I wondered how he would manage in a dimension where technology was banned: would he embrace the adventure or suffer withdrawal symptoms? This is how I came to write Gateway to Magic. I spent most of my time in school writing stories, whether I was meant to be doing it or not. Since then I’ve had various jobs, played in two bands, taught children to play keyboards, written and performed in plays and made a short film. One of my scripts was shortlisted in a BBC scriptwriting contest, with positive feedback from Tony Jordan. 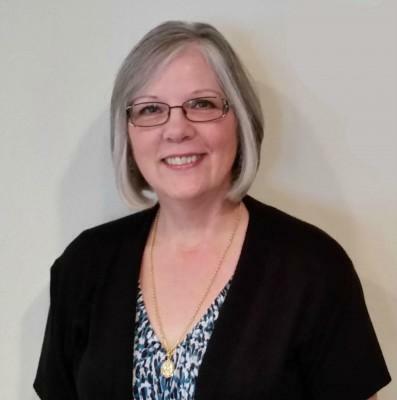 You can connect with Annabelle Franklin through her Twitter @Anabel1Franklin, Facebook at Annabelle Franklin, Author, and her blog at Annabelle Franklin Author. 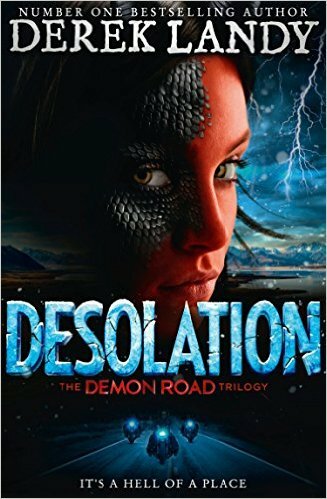 #Bookreview Desolation (The Demon Road Trilogy Book 2) by Derek Landy. More fascinating characters, a tiny bit of romance, and Alaska, but less of a road trip. Description: THE EPIC NEW THRILLER CONTINUES. Book two in the mind-blowing new supernatural thriller from bestselling author DEREK LANDY, creator of international sensation Skulduggery Pleasant. Reeling from their bloody encounter in New York City at the end of Demon Road, Amber and Milo flee north. On their trail are the Hounds of Hell – five demonic bikers who will stop at nothing to drag their quarries back to their unholy master. More fascinating characters, a tiny bit of romance, and Alaska, but less of a road trip. Thanks to Harper Collins Children’s Books and to Net Galley for offering me a free copy of the novel in exchange for an unbiased review. I read Demon Road recently, loved it and was keen to know what happened next. The first novel was a ride, a succession of adventures along the demon road and there were many stories that I felt would have made great books in their own right. The second book in the series is about Desolation Hill in Alaska, the only place where Amber and Milo think they might be safe from the hounds of hell that are after them. The novel is less of a road trip (they get there fairly quickly even if finding the actual place seems difficult, we later get to know why) and more of a novel about a town that hides many secrets and is much darker than it might appear at first sight. Amber is still trying to grow up and get to grips with the fact that she’s a demon through no fault of her own, and she still has her parents trying to find her (and now, instead of eating her they want to take her back to the Shining Demon). We still see things from her point of view. But there are many changes. The story is not only different in the setting, but also in the way it is told. There are other character’s points of view that come into play. I particularly like Virgil, and elderly man who used to star in a TV programme in the seventies (where he was the hero, an avenger type with mask and all), who is later joined by Javier, the actor who used to play his old archenemy. Their interaction is funny, but also poignant and touching at times. There are also a group of fairly young people (and a dog) who hunt demons and evil in its many forms. They jokingly refer at times to Scooby-Doo, and with the dog (Two) and their van there is a certain similarity, although not in the details. We also see the story from their perspective at times and we get the sense that there are many stories (that like Kelly’s tattoos might deserve more screen, or page, time) behind them and ahead of them. The Demon Road throws interesting people together, for sure. Amber becomes stronger, more determined, and comes up with daring plans and decisions that don’t always bring the expected results (hardly ever). But she’s still vulnerable and her self-esteem when she’s in human form is poor. It is refreshing to see that at least one person she meets thinks she is cooler in human form and does not find her attractive as a demon. Her relationship with Kelly hints at the possibility of a romance but as we well know the path of true love is never a smooth one. I thought the alternative points of views helped show Amber under a different perspective, more ambiguous, and helped ground the story. On the other hand, I missed the road trip part of it. There are plenty of interesting characters, some from the town and some outsiders, and there is plenty of action. To be truthful, when the festival arrives (I won’t explain what it consists of but yes, I’m happy I’ve never been to one) the action speeds up to such a level that sometimes I found it difficult to keep up. More than a page turner it becomes a hurricane. The novel ends in a big twist that seems to throw the action in a completely different direction and makes us question once again what kind of person/demon Amber will turn out to be in the end. I definitely want to know. I would advise anybody considering reading this book to start by reading Demon Road. Although the action might be understood if read alone, and there are clues along the way, some of the nuances and the backstory greatly enhance the overall effect (and some props, like the key used at times are a legacy from previous adventures). There are things I like better in this book, and things I like better in the first, but I get the sense that the series has been conceived as a whole and it will all fit in together nicely (or nastily, considering the genre) by the end. We shall see. I’ll be waiting for the third one (and it seems it’s only a few months to go). I would recommend this book to people who enjoy paranormal and horror adventures with plenty of action and characters that are morally ambiguous. Lit World Interviews is delighted to announce that Tales from the Garden, by Sally Cronin, is now available in Ebook versions with the print copies available shortly. Sally and husband, David, will be leaving their house and garden at some point in the future and when they put the house on the market, Sally realised that it was not only the sunshine that she would miss. She already had many photographs taken over the last sixteen years and she decided to capture as many aspects of the garden as she could to take with them digitally at least. As Sally photographed the statues, most far too heavy to take with them, it came to her that some of them had been there at least for 60 years and had seen many changes over that time. Also there was the mystery surrounding the missing dwarves? Just exactly where did they disappear to some nights; when the garden seems to be alive with excitement and you can hear the fluttering of many wings in the air? Sally wrote the stories weekly on her blog but was so delighted by the response from those who read them, that this became her surprise book of the year. Those that were planned will be released in the New Year. The Ebook is available now, and the print version will be available in the next week. Both are discounted on her publisher’s website, as there are no additional charges as on other online bookstores. Fairy Stories for children of all ages, from five to ninety-five, that will change the way you look at your garden, forever…. With over 80 photos/illustrations, “Tales from the Garden” by Sally Cronin, reveals the secrets that are hidden beneath hedges and trees. You will discover what really happens at night as you sleep unaware in your bed. Stone statues and those hidden worlds within the earth are about to share their stories. The guardians who have kept the sanctuary safe for over fifty years will allow you to peek behind the scenes of this magical place. They will take you on a journey through time and expand your horizons as they transport you to the land of fairies, butterflies and lost souls who have found a home here. Meet Queen Filigree of the Kingdom of Magia, The Last Emperor and The Lost Boy who live in the sanctuary on the Spanish mountain. Ten stories of adventure, magic and love. Find out more about Tales from the Garden and buy the Ebook in Mobi for Kindle Format and Epub at a special 50% discount via the website – £2.48. Print copies are discounted by 23% at £8.42. The photographs in the print copy are in black and white and will be available in the next week to ten days. Or through Amazon at the recommended retail prices. For the last two years Smorgasbord Invitation has offered a legitimate excuse to write daily, meet amazing people from around the world and provide a platform to assist any artist, musician or writer to showcase their work. Any help that you can provide in promoting the book would be most welcome and you can contact Sally on sally.cronin@moyhill.com. She will be doing a series of guest posts on various aspects of the book. Behind the scene stories of the statues, parts of the garden etc. and will of course share any posts on your blog across by social media. One night, Alex Bascolme awakened from a dream, so real that he could smell the salt in the air from the ocean along the California coast. He could even feel the sand squishing between his toes, as if he stood on the beach that night. The strange dreams continued after that first night, leaving Alex to wonder what they could mean for him. When Alex’s Father was laid-off from work, Alex and his family moved from Colorado to California; the dreams apparently foretelling his true destiny. Once in California, Alex meets a new friend named Logan, and the two boys find a magical motorcycle that takes them on the ride of their lives. Only the worthy can ride the bike, and both boys are tested to see who has the “right-stuff” to ride Silver Lightning. Eventually the boys realize that there is always a heavy price to pay for the use of magic, even if it is for the good of humanity. I was immediately drawn into Alex’s magical world, where his dreams of a dark eyed, black haired girl named Tsura, lead him on a journey into manhood, learning the difficulties of life first hand through his experiences with Silver Lightning. I love the relationship that developed between the mysterious, Tsura and Alex. In addition, the bond between Alex and Logan reinforces everything strange and wonderful that two best friends can share. I laughed, and cried, cheering the boys onward in their adventures. The only challenge of the book in my opinion, is the dialog is to perfect between the characters. I would have loved to see a bit more teenage angst and realism in the words spoken by the teens. Nevertheless, the story is full of sweet memories and life lessons, which took me back to the years of my youth when magic was real. I thoroughly enjoyed the adventures of the magical motorcycle, Silver Lightning, and the interaction each boy had realizing the power of goodness that existed within each of their hearts. Silver Lightning would appeal to both younger children from ten years old through fifteen years of age. Adults would enjoy reading the book with their younger children. 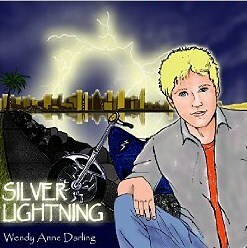 Silver Lightning is Wendy Darling’s debut novel. I am excited for a sequel to follow the boy’s adventures with the magical motorcycle. I cannot wait to find out what happens next!